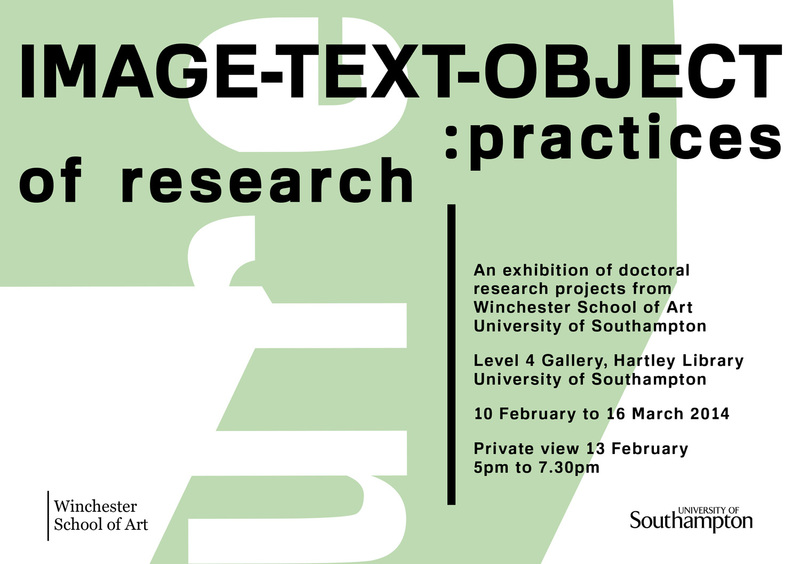 The exhibition, Image-Text-Object: Practices of Research, was held at the L4 Gallery space in Hartley Library (University of Southampton). 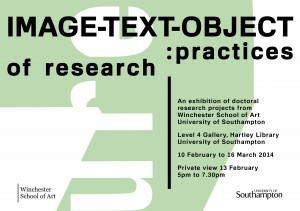 The exhibition presented the work of 16 PhD students and two members of staff from Winchester School of Art (WSA). Taken together the works offered a series of images, texts and objects, helping to think about different ways of seeing, thinking, writing and making. 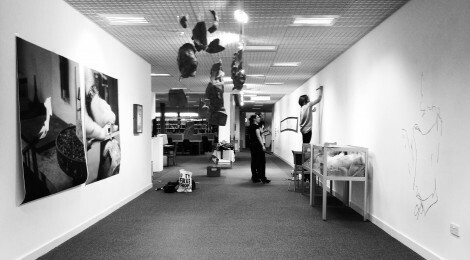 The School is dedicated to the exploration of diverse practices and creative research methods. 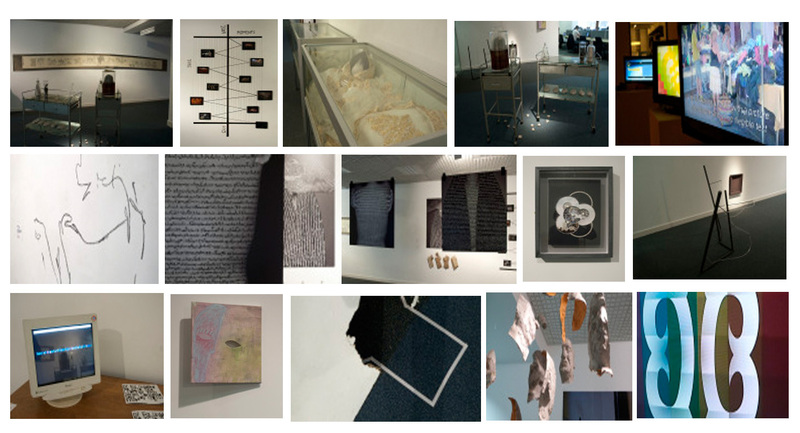 Studio-based researchers in art and design work alongside those engaged in humanities and social science research, covering areas of art history, critical theory and curatorial practice, as well as the management and marketing of advertising, design, media, fashion, textiles and luxury branding. All researchers at the School are engaged in the critical making of new knowledge: each moving in and out of complex and disciplined modes of activity. Whether it is reading, writing, looking, making, coding, speaking, recording, and much else besides, each are forms of imaginative and critical engagement, developed and extended within the context of a collaborative and inter-disciplinary research community.